Why do people give? There are lots of reasons, such as they believe in an organization, cause, or mission. But most often, people give because of SOMEONE! There is a long list of names on the JLS Endowment donor wall. Supporters of JLS who gave a $1 and more than $25,000. It’s an impressive list, no doubt. Many of the donors were JLS members and donated not only their treasure, but their time and talent as well. Besides the JLS endowment becoming in important fund in the Sacramento community, it has served to be a home and place where others can be recognized. We call this “In Honor Of.” Since the endowment’s creation, there were some superstars who clearly went above and beyond – those whose efforts made an even bigger impact to change the lives of others for the better. This list is long, but we’ll highlight a few and start with Muriel Johnson. When I first joined the Junior League in the early 90s, Muriel was the epitome of a “Junior Leaguer:” She was high-energy, optimistic, positive, and a make-it-happen kind of gal, plus, she was everywhere in Sacramento doing good things. She said she’s always lived by the ideal of “Cherish what you know about something, and share it!” Muriel has shared her love of JLS and others honor her because of her passion. Another “In Honor Of” honoree is Christie Zuverink who has been the JLS office manager for 10 years (she drives from Roseville three days a week which shows her love for the organization). Speaking of Julie Bugatto, many people have donated to the JLS endowment in honor of her. She is shy about publicity and modest about her contributions – which have been many – and even when I interviewed her about people giving in honor of someone, she didn’t say a word about her recognition. 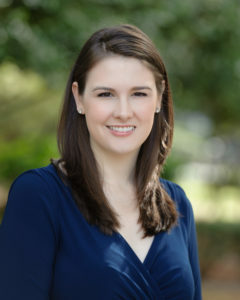 On a personal note, I met Julie when she first joined JLS as Julie Dittman, she was on my PR and Marketing committee. I can’t remember anyone else on the committee as it has been more than 25 years, but I remember Julie. From the very beginning she had a passion and energy that was unique and a skillset that our organization greatly needed: technology. After many leadership roles and countless hours she has volunteered, Julie is still the person I call to ask “anything Junior League.” And, even though she’s “retired” from the endowment board and other official titles, she’s always available and supportive of all things Junior League. In May, 2011, the Junior League of Sacramento established an endowment fund with the Sacramento Region Community Foundation. Vision: Grow the Junior League of Sacramento Endowment Fund to $1M to provide a perpetual source of funds to support the League’s mission. These funds will Ensure the Future and all its Possibilities. Mission: The annual distribution from the endowment fund will be used to support the Junior League of Sacramento’s mission; to continue to meet the needs of the region by being the venture capitalist of the non-profit sector and spinning off successful programs. The fund distribution will be administered by the Board of Directors of the Junior League of Sacramento in accordance with JLS bylaws and policies. Or, make a tax-deductible donation via check payable to: Junior League of Sacramento Endowment Fund, Sacramento Region Community Foundation, 955 University Avenue, Suite A, Sacramento, CA 95825.
Who doesn’t love to get things half price? That is essentially what happens when you make a donation to the Junior League Endowment and ask your company to match your donation – dollar for dollar! Doubling their impact to the JLS Endowment, member Lisa Doliner and sustainer Karen Sakala, who both work for State Street Corporation, a financial services firm, say that’s the beauty of their corporate matching gift program. 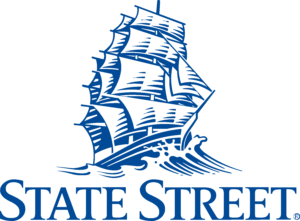 They individually contributed to the JLS Endowment and then, after completing a simple form online, State Street matched their contribution dollar for dollar, up to $10,000 per year. For hundreds of companies, when you make a donation to a nonprofit organization, your company will contribute an equal amount (which varies by company), and it’s easy to do. To receive a matching gift, donors just have to submit a request to their employers. If the donor’s gift and your organization qualify, the company will send the nonprofit a check for the same amount or larger depending on the corporation’s matching gift program. Some nonprofits don’t capitalize on matching gifts because donors don’t know that corporate giving programs exist or that their companies offer such a program. With an estimated $6-$10 billion dollars’ worth of matching gift funds going unclaimed each year, nonprofits have many reasons to think creatively about how to promote matching gifts – hence this article. Member Mary Werling also doubled her gift to the JLS Endowment through her company Travelers Insurance. “I was attracted to donating to the JLS Endowment because I know that money will continue to grow over the years, and I am proud to say that I made a contribution,” she said. Consider the fact that 65 percent of Fortune 500 companies match employee donations. Throughout the nation, workplace giving enables nonprofit groups such as the Junior League to deliver vital services in their local community with twice the impact than someone can do individually. And, it’s not difficult to do. To see if your employer will match your gift please visit https://doublethedonation.com/jlsac. In May, 2011, the Junior League of Sacramento established an endowment fund with the Sacramento Region Community Foundation. Its vision is to grow the Junior League of Sacramento Endowment Fund to $1M to provide a perpetual source of funds to support the League’s mission. These funds will ensure the future and all its possibilities. Its mission is an annual distribution from the endowment fund to support the Junior League of Sacramento’s mission; to continue to meet the needs of the region by being the venture capitalist of the non-profit sector and spinning off successful programs. The fund distribution is administered by the Board of Directors of the Junior League of Sacramento in accordance with JLS bylaws and policies. 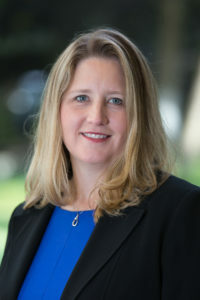 For more information, please visit https://www.jlsac.org/connect/endowment or contact endowment@jlsac.org or call 916-921-1096.